This weekend I had a short trip to San Diego so I didn’t have enough time to post anything. I spent the day there kayaking, then hiking to see the sunset, and of course lots of great food. 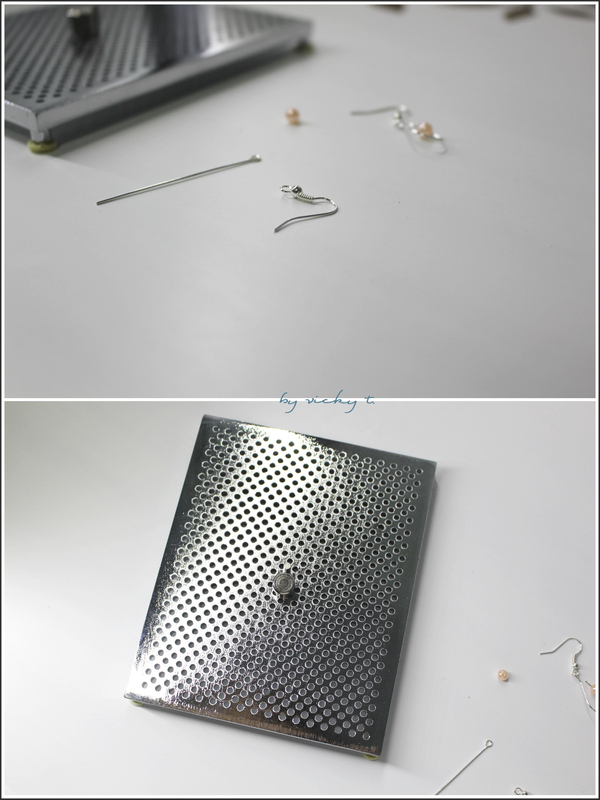 I was very sore and didn’t get to do much DIY but here’s a short simple DIY that you could do even when you’re sore haha. 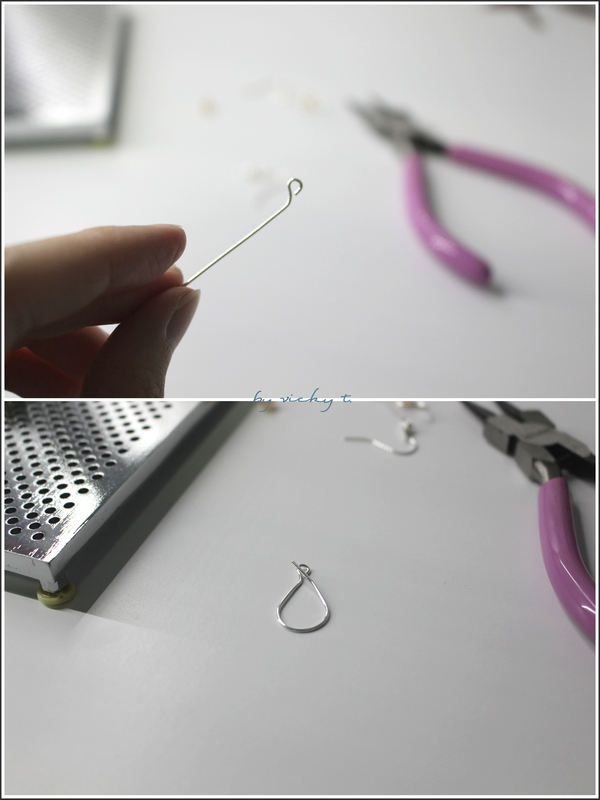 I started with a piece of wire that already had a loop at the top, which I found in some earring making kits. Then I created a shape on my wig jig kit. I then bent the wire at the top where the loop is and proceeded to wrap it around the shape I created on the wig jig kit. 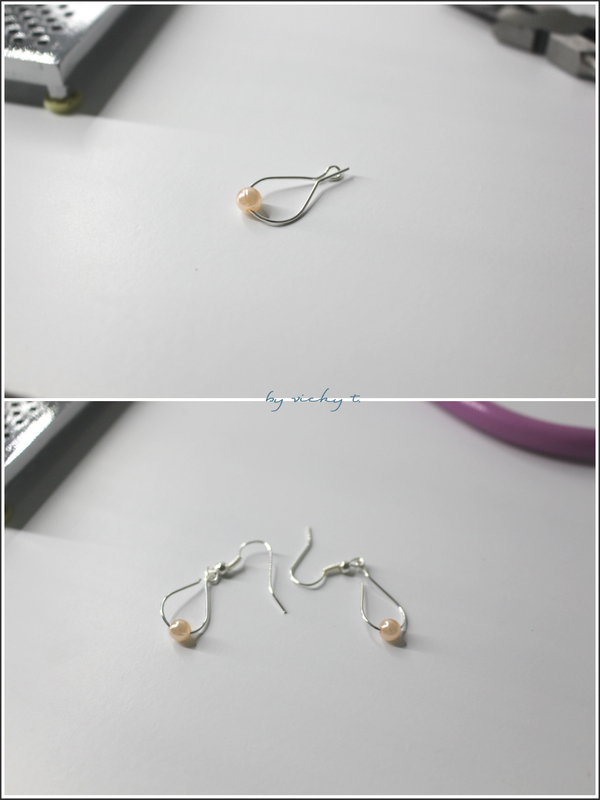 Before I closed in the end, I placed a little bead inside and cut off the excess wire. I just need to hoop in the earring hook and I’m done with one earring. Repeat for a complete pair. And LOL I'm still sore too 😛 Kayaking is such an intense sport haha!